I'm always looking for new, fun ideas to incorporate veggies into my daily diet. So when I saw that a fellow Foodbuzzer, Trix featured a scrumptious-looking recipe for spaghetti squash tortes with cheese, roasted garlic and fresh herbs, I was intrigued. 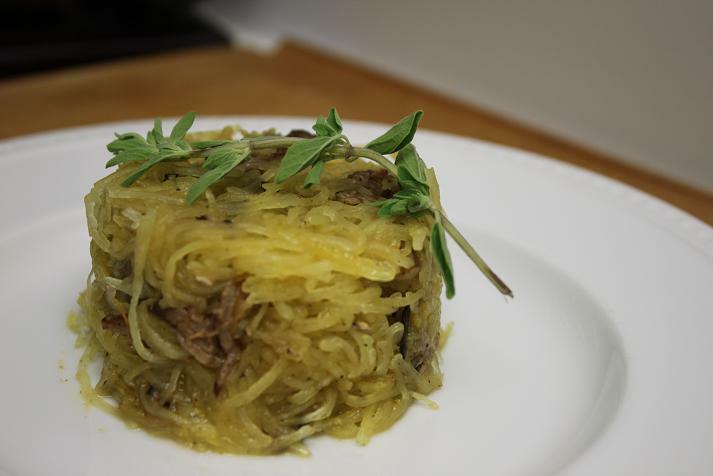 The simple instructions excited me most, and because I've prepared spaghetti squash before, I was ready to take on another challenge with this fascinating vegetable. The presentation for this dish is what really got me - it looked so professional, which is surprisingly easy to do with the help of a simple ramekin or an empty and cleaned out tuna can. Although I pretty much followed Trix's recipe to the T, I also added in delicious shredded pork that I had left over from a recent dinner at MexiQ. It worked really well with the starchy squash and gave it more stature and masculinity. Another one of my tweaks involved substituting sharp cheddar cheese for gruyere, simply because the gruyere was too expensive. Cheddar (or any other cheese of your liking) will do just fine. 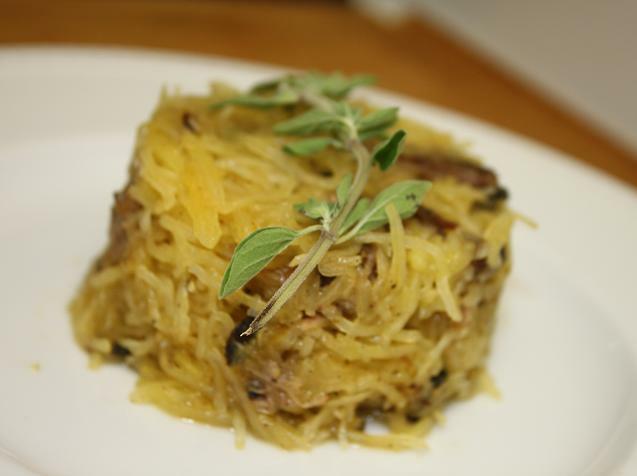 Enjoy the spaghetti squash recipe and let me know about the tweaks you make.